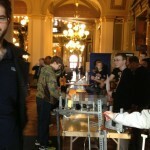 Today, Team Neutrino attended STEM Day at the Iowa State Capitol with part of our Ultimate Ascent robot. 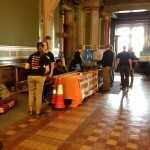 We talked with state lawmakers educating them about FIRST and the benefits of FRC. Also in attendance were our friends from Team 525 Swart Dogs and 4646 Des Moines CoLab along with FTC Team 6420 and several FLL teams. 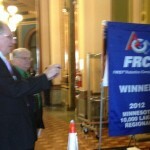 We hope that our state legislators recognize the importance and benefits of FRC and the other FIRST programs and hope they continue their support of FLL and FTC along with adding FRC to the list of programs funded through the Iowa STEM initiative. Special thanks goes out to Swart Dogs for their contributed photos to this blog post. 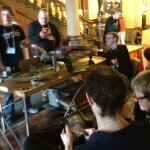 This entry was posted in Outreach 2013 by David. Bookmark the permalink.